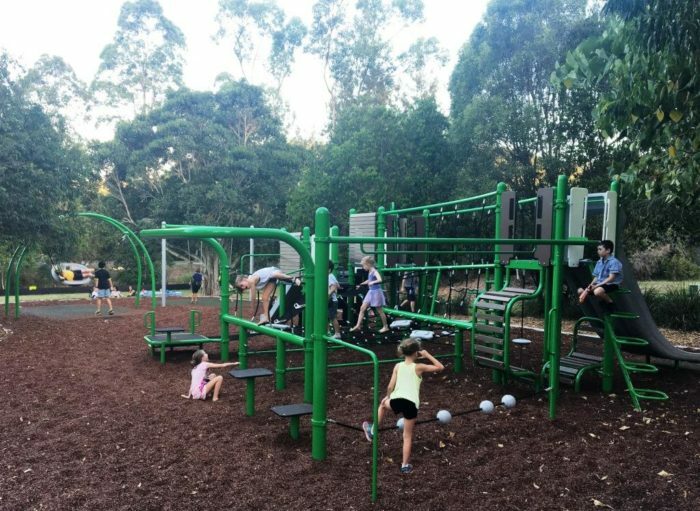 This pocket neighbourhood park received a face lift and an Australian first with the installation of the Venti. 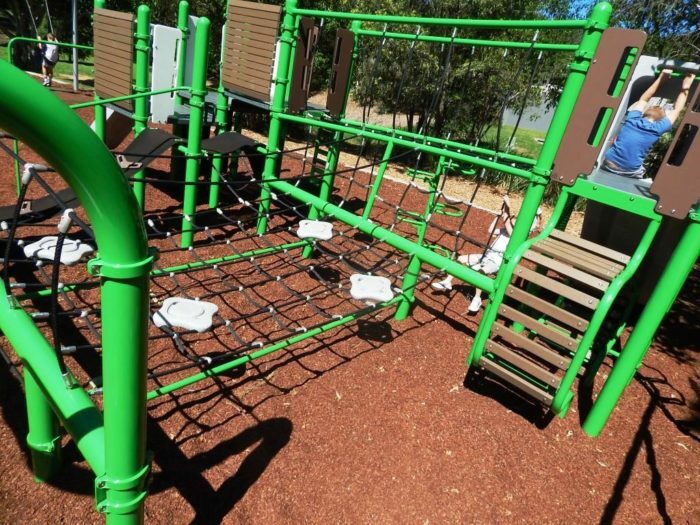 Italian for twenty, the Venti packs 20 exciting activities into its compact size. 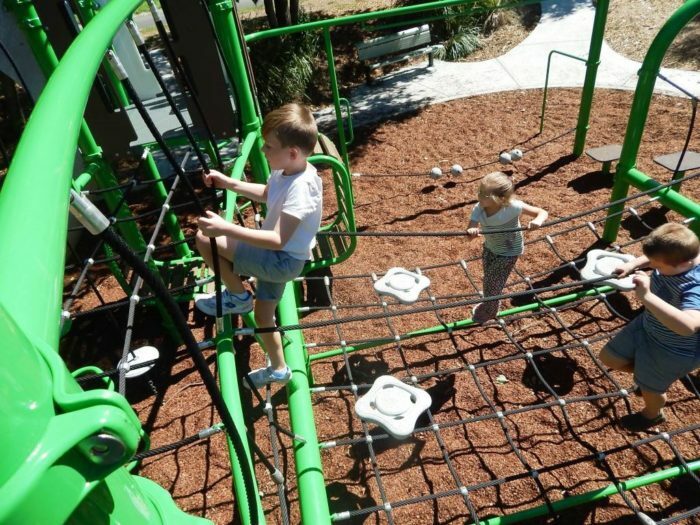 Nets, slides, belts and climbers provide loads of fun, but more so, progressive challenges promote physical development and strategic thinking in young players. 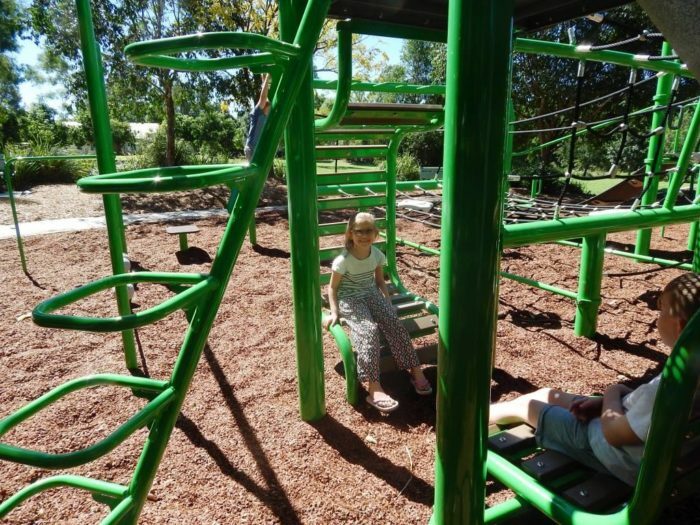 On our first visit to the completed playground it was a real treat to see children “not” being able to do all the activities – this means they will push themselves that little bit harder and ‘grow into’ the playground – perfect when it’s a neighbourhood setting that we’re able to provide something that will keep residents coming back, and keep them outdoors, active and stimulated! 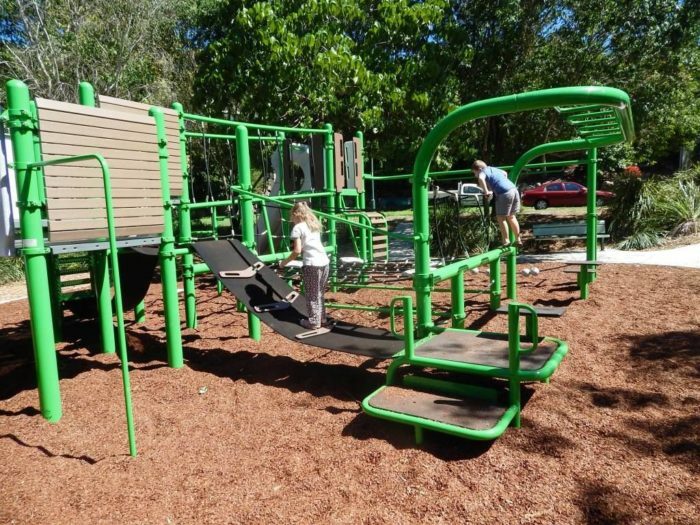 With multiple entry points, the Venti combines action packed challenge with plenty of hang out areas where kids can take a break and connect with their friends. 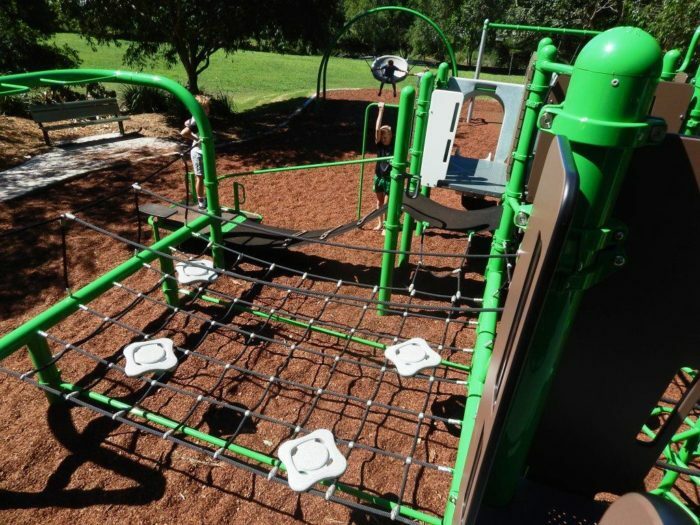 This unit also epitomises smart design with effective use of materials to create a large number of activities and its compact size requires less space and surfacing material – creating an economic solution for Council packed with unique play value. 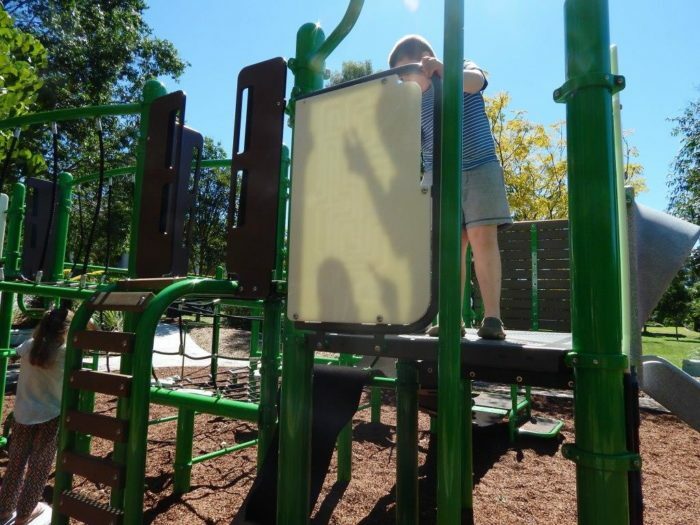 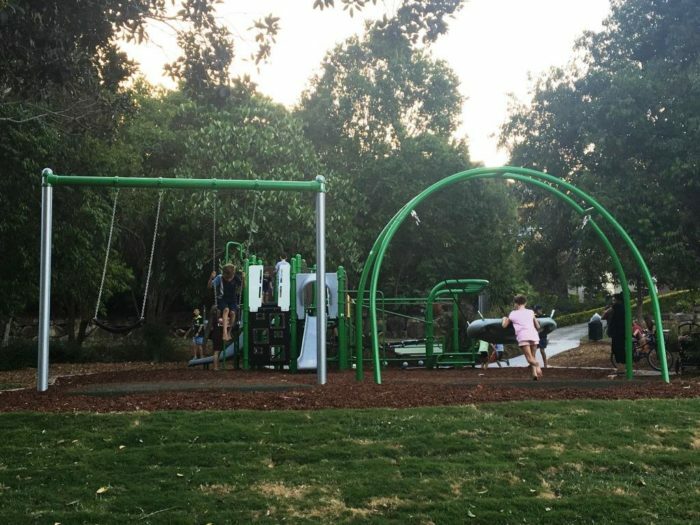 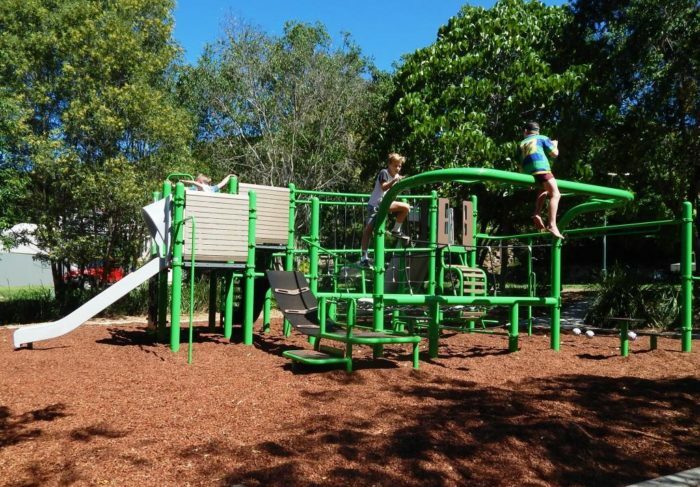 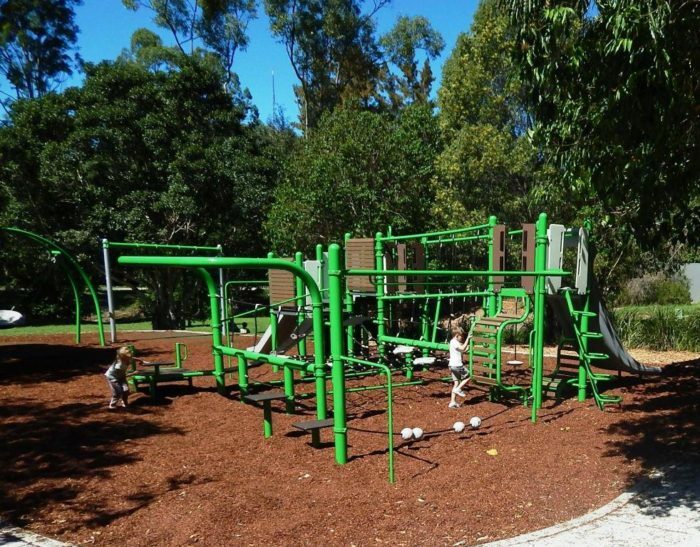 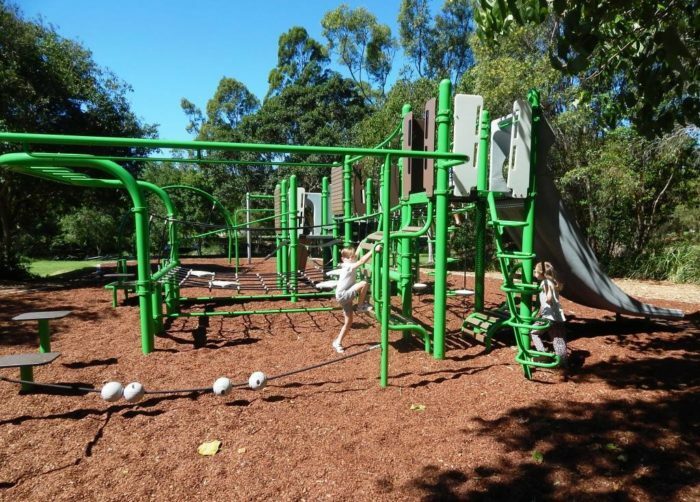 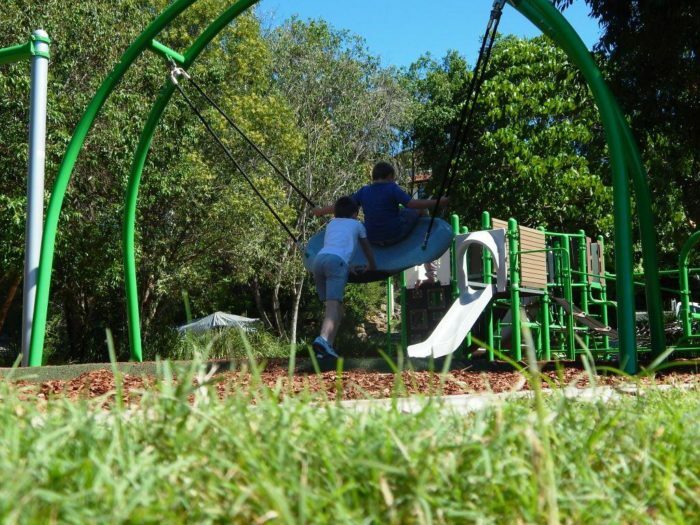 The overall design of the park was to cater for all ages and to blend into the beautiful bushland around the playspace. 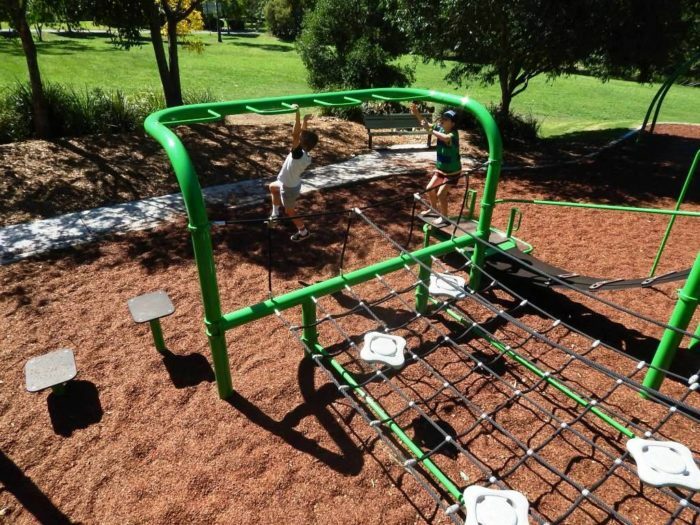 Inspired by nature, the colour palette enhances the visual impact of the playground. 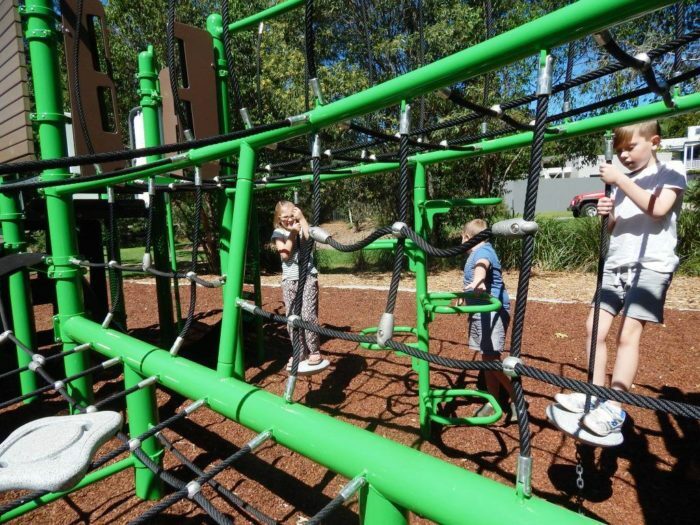 Varied swinging adds to the multitude of activities on the Venti, with a multi user and fully inclusive Oodle Swing and our ever popular 2 seat swing with toddler and belt seats to encourage all ages and abilities. 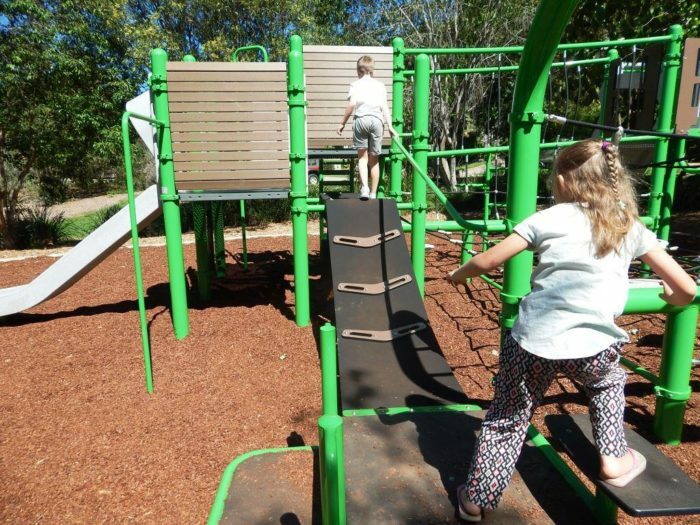 The surrounding residents love the new playground – telling us it truly has something for everyone!